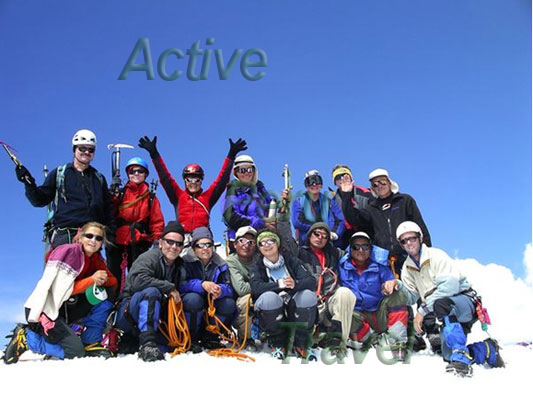 You have found your Huayhuash Adventure Holidays! 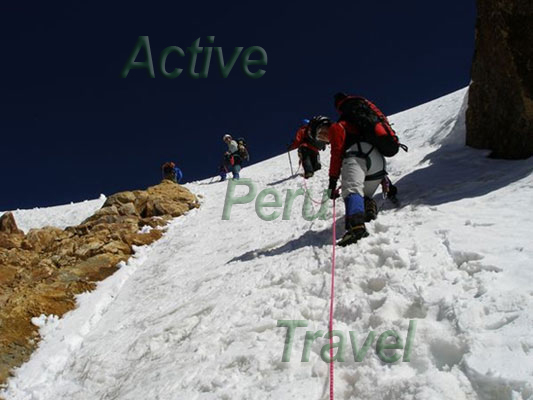 There are many ways to do the Huayhuash Trek and combine it with other hightlights in Peru. Here you will find a couple of examples itineraries and fixed departures but even if you have your own ideas of your ideal trip, just write us for a quote and suggestions. 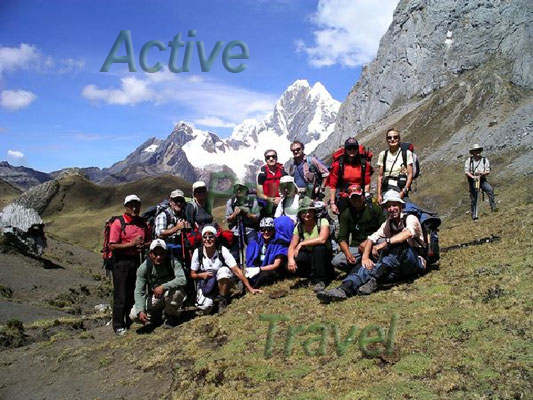 We are based in Huaraz, starting point for the Cordillera Huayhuash Trek, since 2003 and also have our people in Lima and Cusco and partners in the whole of Peru. So you will be best of with our services. Cordillera Huayhuash combined with Cusco and Machu Picchu. Arequipa Colca Canyon Titicaca Lake and Huayhuash Trek. All itineraries can be adapted according to your needs! 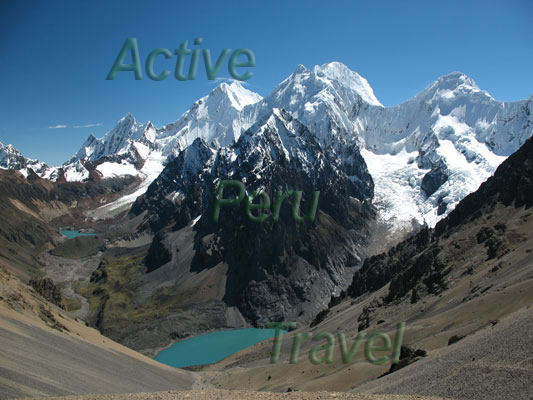 Several additional packages in Cusco and/or other destinations possible. Ascent to Diablo Mudo (5350 m), an „easy“ mountain over 5000 m.
Diablo Mudo, brilliant viewpoint for the highest peaks of Cordillera Huayhuash. Lagunas Quesillacocha, Siulacocha, Gangrajanca; in the background Mt. Jirishanca (6094 m).